The cedar canoe with the largest cargo capacity. It is the biggest of Nor-West’s freighters, and an unmatched transport canoe! 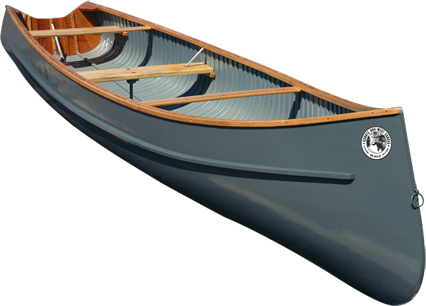 A robust and reliable cedar canoe for the ocean, river and lake adventurer. The Arctic is the most popular cedar canoe in northern Canada, and its reputation extends well beyond the region. Its stability, large cargo capacity and shallow draft make it the pride of Nor-West Canoes. Nor-West’s most popular cedar freighter, providing as much cargo capacity as boating pleasure. The Norwest is the perfect cedar canoe for hunting and fishing. The smallest of the big freighter canoes. This model is designed for people who seeks the reliability and the ease of the 20′. Being manufactured starting from the mould of Norwest, it thus as of them all the characteristics except for the lenght wich, it, was reduced to 18′. Good compromise for those which hesitate between the 18′ and the 20′ Norwest. The entry-level freighter model from Nor-West Canoes. This multi-purpose cedar canoe is easy to manoeuvre and very light. A pleasure canoe with extra width for greater than average carrying capacity, permitting outings of long durations. This model is the best all around canoe for variety travel where lightness and stability is required. The V-Stern models are used mostly in rivers and streams. They also permit travel upstream with the use of a motor. Paddling them is easy as the under water shape is the same as the pointed end canoe. 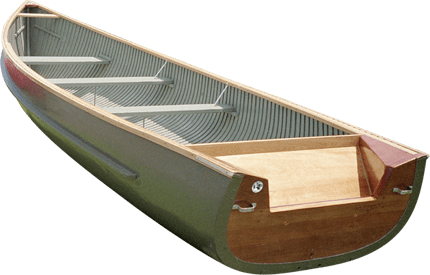 A long established favorite of the experience canoeist, the 16 feet Marquette is a combination of speed, maneuverability, and strength. Its easiness to paddle and quickness to react are features that racing enthusiasts desire making this design the number one choice for stock model canoe racing. A flat wide canoe for commercial use such as trapping, fishing, hunting or just for extended trips. Its lightness, carrying capacity, and paddling ability are its main features. It should not be overlooked. The V-Stern models are used mostly in rivers and streams. They also permit travel up stream with the use of a motor. Paddling them is easy as the under water shape is the same as the pointed end canoe. An extra light canoe with a wide beam to meet the need for stability and lightness. This is an responsive paddling canoe and is a joy to handle. It is suitable for one or two passengers.